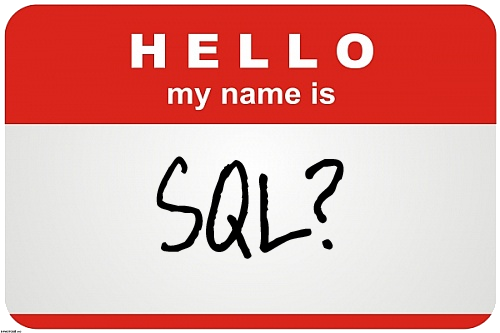 Is the name of your SQL Server correct? Why Worry About The Server Name In SQL? When the name of the actual host machine’s server name does not match the server name stored in SQL Server a lot of things can start to go wrong. Reporting services can break, Connections denied, maintenance plans fail. Generally chaos can happen, but not always right away. How does these names get out of sync? Usually is is from some sort of move or rebuild of a server. I experienced it with one client that physically moved data centers, and in the process decided they wanted to change the IP address and name for every server. We are talking thousands of servers moved, and every one of them renamed. That included over 750 SQL Servers. I came onto the project after the move had been done and it took a while to realize that a lot of maintenance plans were failing. Turns out that the detailed checklist for the data center move, including renaming the servers, had left out the critical step of resetting the server name on each SQL Server. Production and development system were affected and needless to say it made for a fun week to get everything fixed as fast as possible. Now that that is all out of the way, let’s get to actually changing our server name. First you are going to want to check if there are any remote logins. If you have any remote logins, that reference the old server name, you will receive an error when you try to change the server name. This script will check your server for any remote logins so you can remove them. Be sure to record the remote logins so you can recreate them afterwards. -- Add the new name, with local set as well. After all the changes have been made you will need to restart the SQL Server service to be able to connect with the new server name. Chris Bell, SQL Server MVP, MCSE & MCITP, is a 20 year veteran of using Microsoft products & SQL Server to create solutions for businesses, organizations and individuals. Chris speaks, blogs, writes articles and makes media of all kinds regarding SQL Server at WaterOxConsulting.com. Click here to contact Chris or to follow him on twitter. Chris is also the founder of WaterOx Consulting, Inc. which features SQL Server consulting services along with the destination location week-long training series: SQL Summer Camp. New in 2015 WaterOx Consulting is introducing the SQLPunch series of half day training events designed to help others learn to efficiently and effectively use SQL Server. He is the founding president of PASSDC and organizes the annual SQLSaturday for the DC area. Chris frequently speaks at and attends SQL Server events, sharing his passion for all things SQL Server. Somehow, my servername has gotten out of sync. However, not the hostname part, but the instance name. A few weeks after install we couldn’t connect to the SQL Server anymore. One of the developers figured out that logging in without the instance name dit work. So we went from “SQLSRV\SQL2017” to “SQLSRV”. If you ask the browser for a list, it still returns “SQLSRV\SQL2017”. 1) Was the service restarted after the rename? 2) Is an alias being used in the developer’s sql configuration? 3) Did someone remap the server instance name via a DNS entry? In general, the guidance of this post is if you change your server name, not the installed SQL instance name. What you are trying to do gets quite tricky as things such as folder names are created based on the instance name selected during install. The host being renamed is what usually leads to the need to change the SQL Server name. I have yet to encounter a case when the SQL Server instance was renamed instead of the host being renamed. The name that SQL references is internal to the instance so even if changed in the Windows OS it will not change things in the SQL instance.